All together now: Would Apple ever go for Microsoft-style convergence? One device to rule them all, or a different tool for every job? A decade or so, the idea of convergence was king. Rather than having a slew of different devices like a media player and an ebook reader and a gaming console, the idea was that we’d some day have a single device capable of handling all the different tasks that we might throw at it. While the iPhone and iPad have in some ways delivered on those promises—they’re media players, Internet communicators, and so on—if anything, device proliferation has only gotten more pronounced over the last few years. That’s why I find myself intrigued by one particular announcement from Microsoft—yes, that Microsoft—this past week. The Display Dock is a small box, probably about the size of an Apple TV, into which you plug a monitor and other peripherals, such as a mouse and keyboard. When you sit down at your desk, you dock your phone, and voilà, it becomes a computer. One device, multiple contexts. A strange idea, to be sure, but one that I think might be a harbinger of things to come. Microsoft marketing manager Brian Roper showed off the upcoming Microsoft Display Dock, which features USB-C throughput of 5Gbps and will sell for $99 in November. I look around my apartment these days, and there are devices everywhere: an iMac (for work), a MacBook Air (for portability), an iPad, an iPhone, an Apple Watch, an Apple TV, an Amazon Echo…and so on. Finding one device to replace all of them is a pipe dream, but I have started to wonder if perhaps that number could be reduced. Just the other week, in this very column, I mused about how the iPad wasn’t about to replace my MacBook Air. I still believe that’s true, but what I’m thinking here is a little bit different. The iPad is more capable than ever, thanks to iOS 9, but I still don't want it to replace my MacBook Air...at least not today. I find managing multiple devices frustrating at times. No matter how much I work on trying to make sure that all the necessary apps and data exist on any platform where I want them, keeping those apps and files in parity between multiple machines, all with their requisite backups, is a pain. 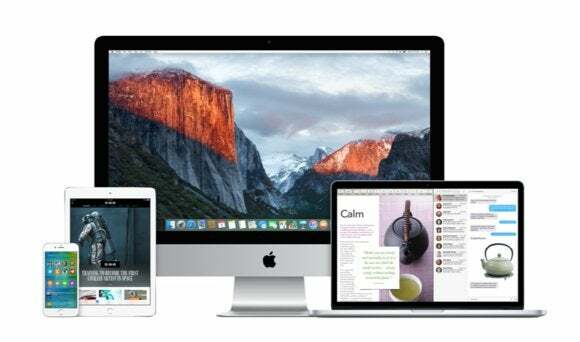 Dropbox, iCloud Photo Library, iTunes Match, and Apple Music all make this much easier than it used to be, but it still requires not only organizational overhead but also just self-discipline and commitment to good data hygiene. Reducing those devices—perhaps even down to one—would help that immensely. No matter where you go, there are your files. There are your applications, set up the way you want them. No tricky syncing issues to resolve, which is good because as we’ve seen, cloud services are still not really Apple’s strong suit. One device could end up simplifying your life drastically. Naturally, I’d expect an Apple approach to this challenge to be more, well, let’s say elegant, than Microsoft’s corresponding solution. I imagine an inductive charger à la the Apple Watch’s, but a bit larger, with two cords: one for USB-C, another for power. The USB-C cable runs into a display, which perhaps includes a USB-C hub of its own for attaching any wired peripherals. A Bluetooth keyboard and trackpad are wirelessly connected when the cradle detects that a phone is docked. When you’re done, just pick your phone up and walk away. Fantastical is a great example of one app that works on many devices, and could adapt to fit a single device that switches between multiple interfaces. 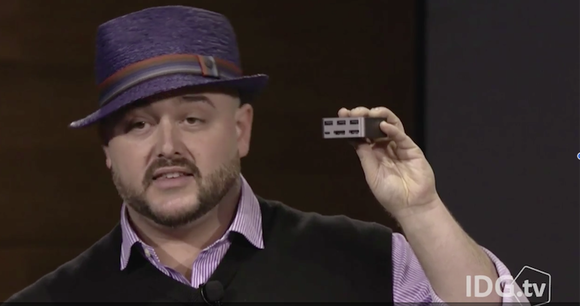 “OK, smart guy,” you’re probably thinking, “hardware’s easy. Software’s the hard part.” Completely true, anonymous interjector. Touch interfaces and keyboard/cursor interfaces are tremendously different and require significant design considerations. 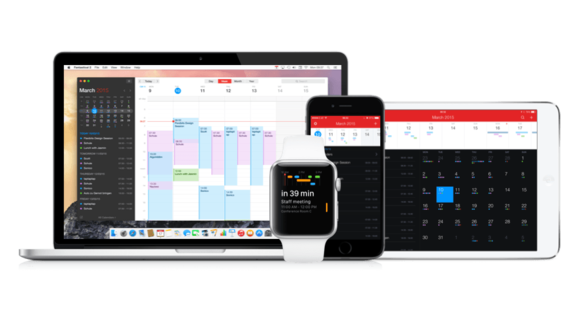 But there are already plenty of examples of apps designed for both iOS and OS X: besides Apple’s own offerings, I might put forth third-party darlings like Tweetbot, PCalc, and Fantastical. 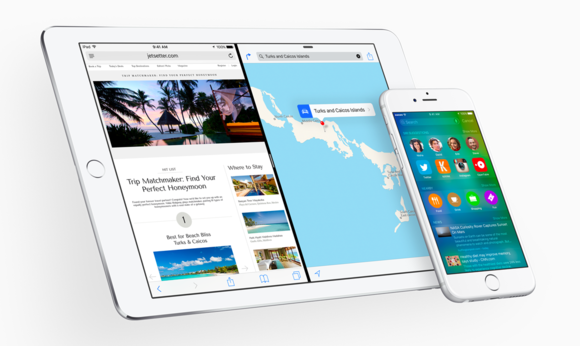 Might the technology someday exist to switch between Mac and iOS versions of those on the fly? It’s hardly impossible. Apple’s “app slicing” technology—the one that caused some issues just a few weeks ago—is already designed to deliver just the code needed for a target device, so it doesn’t seem like a far-off possibility. A lot of work? Certainly. And it’s probably not something that’s going to happen anytime soon. In the past convergence has more often than not proved to be a misguided fantasy. Different devices purpose-built for different uses have often carried the day over devices designed to do a multitude of things. Fundamentally, though, when you break down each and every one of our iPads, iPhones, and Macs, we yield the same core components: a processor, memory, a battery/power source, wireless networking. In the end, our computing devices are far more alike than they are different: convergence is already here, it’s just lurking in the background. Moreover, we’re already experimenting with transformative user interfaces for devices. Multiple companies are talking about VR devices that work with a phone, which already necessitates leaving the touchscreen by the wayside. In the future, interactions may be governed more by context than by the innate capabilities of a device—and that seems like a philosophy that Apple, which already prides itself on its close ties between hardware and software, can get behind.